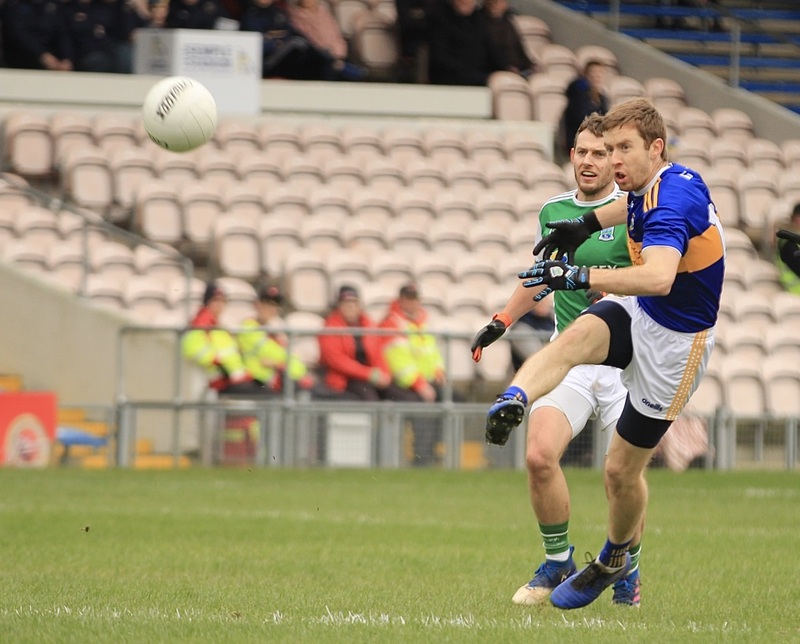 It took a late, late point and a display of nerves of steel from Liam McGrath as the Loughmore Castleiney clubman kicked a dramatic free, five minutes into injury time to rescue a point for Liam Kearns’ side in today’s Allianz National Football League Division Two clash between Fermanagh and Tipperary in Semple Stadium. 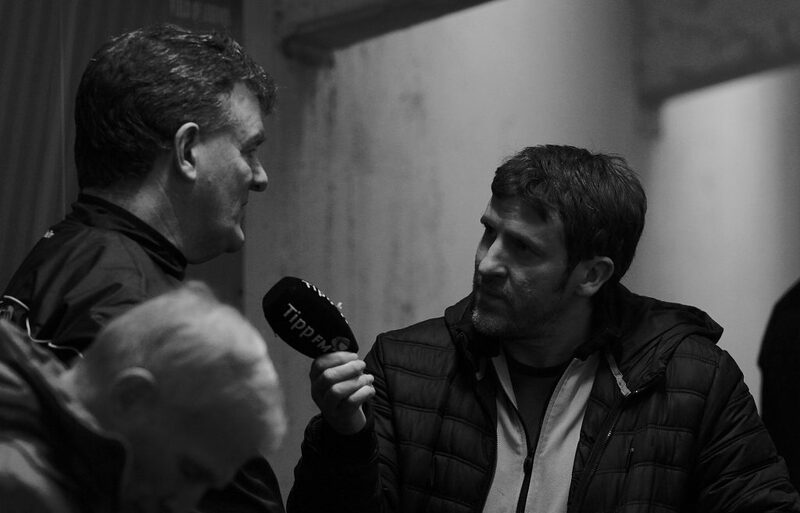 And it was a point Tipperary badly needed as a second loss in the space of a week would have meant the Premier would be staring down the barrel of relegation after only two matches. Tipperary looked set for a dramatic win when Brian Fox fisted the ball passed Thomas Treacy in the Fermanagh goal in stoppage time to put the home side two points in the clear however the drama wasn’t over yet as Fermanagh won a penalty following a foot block which Seán Quigley cooly slotted home before McGrath’s levelling free. 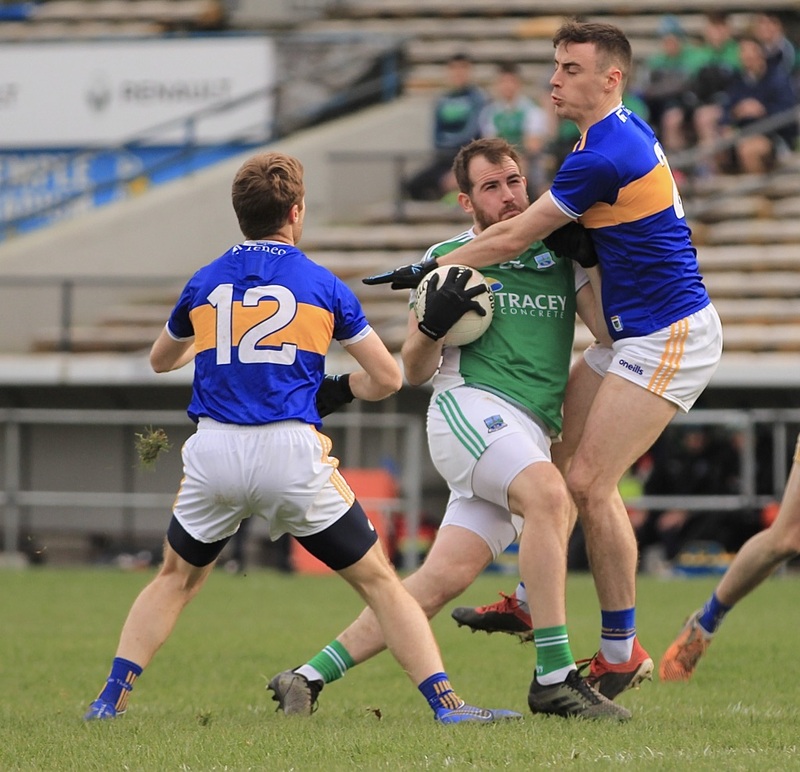 In a first half that will not live long in the memory Tipperary started brightly when the ball, from a Brian Fox effort from 30 yards, somehow eluded the Fermanagh net minder and thought twice, before deciding to cross the line for a fortuitous Tipperary goal after only six minutes. Ryan Jones and Seán Quigley kicked two points for the Erne Men while Kevin Fahey picked off one of his own to leave the sides at 1-1 to o-2 at half time in front of 677 spectators. The second half wasn’t much better as Fermanagh continued to drop deep into their own territory playing an ultra defensive brand of football that did little to enthuse the spectators. Philip Austin and Seán Quigley exchanged points before Liam Casey extended Tipperary’s lead after a great interception and run from Jimmy Feehan. 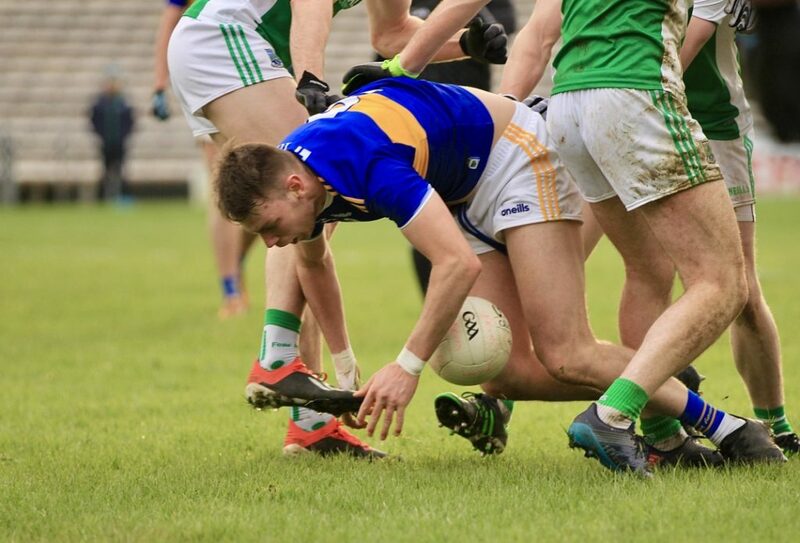 Ultan Kelm set Conall Jones up for Fermanagh’s first goal which drew the sides level at 1-3 each before a Sweeney point put Tipperary in front again. Quigley and Ciaran Corrigan both pointed to edge Fermanagh in front before all the injury-time drama which left the levels level 2-5 each when referee Rory Hickey signalled full time. 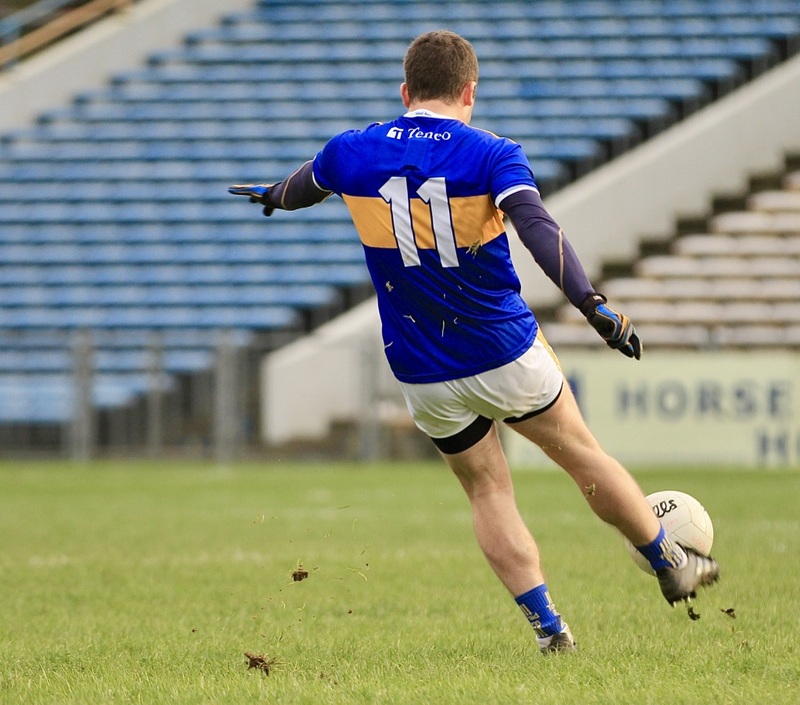 Tipperary: Evan Comerford; Alan Campbell, John Meagher, Emmett Moloney; Kevin Fahey (0-01), Daire Brennan, Jimmy Feehan; Steven O’Brien, Liam Casey (0-01); Liam Boland, Liam McGrath (0-01, 0-01f),Brian Fox (2-00); Philip Austin (0-01), Conor Sweeney (0-01, 0-01f), Jack Kennedy. Substitutes: Conal Kennedy for Moloney (36), Kevin O’Halloran for Boland (51), Dan O’Meara for Austin (58), Michael O’Reilly for Comerford (69), Paddy Codd for Feehan (72). Fermanagh: Thomas Treacy; Jonny Cassidy, Tiarnan Daly, Lee Cullen; Kane Connor, Declan McCusker, James McMahon; Eoin Donnelly, Ryan Jones (0-01); Shane McGullion, Conall Jones (1-00), Aidan Breen; Daniel Teague, Sean Quigley (1-03, 1-00 pen, 0-02f), Ciaran Corrigan (0-01). Substitutes: Paul McCusker for McGullion (31), Ryan Lyons for Daly (36), Garvan Jones for Teague (40), Ultan Kelm for McCusker (53), Daragh McGurn for McMahon (57). In other news our thanks goes to the volunteers from the Friends of Tipperary Football who sold membership prior to the match today in Semple Stadium. If you would like to join you can do so by contacting any committee member or alternatively you can join online by clicking the Join tab at the top of this page. Hard luck to the Tipperary LGFA side who were beaten by Mayo in the opening round of the Lidl National Football League today in Mayo by 2-11 to 0-12. If you would like to read a full match report please click here.